Eshopps has hit the ground running in 2015. 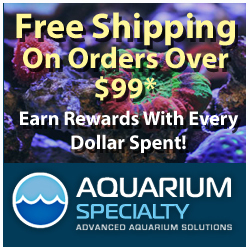 The long-time maker of budget friendly aquarium gear and accessories is launching a new line of refugiums that are aimed squarely at nano aquariums. Aptly called the “CUBE”, this new refugium is perfect for aquariums in the 10-35gallon volume range, and despite the fact that it is being marketed as a refugium, it is actually more of a full-blown mini-sump. The CUBE features three sections, one for a micron bag filter, a protein skimmer section, and finally, a place to grow a little macroalgae…completing the trifecta. The CUBE is powered by some new technology for Eshopps, the patent pending Eshopps Channel Design (ECD). 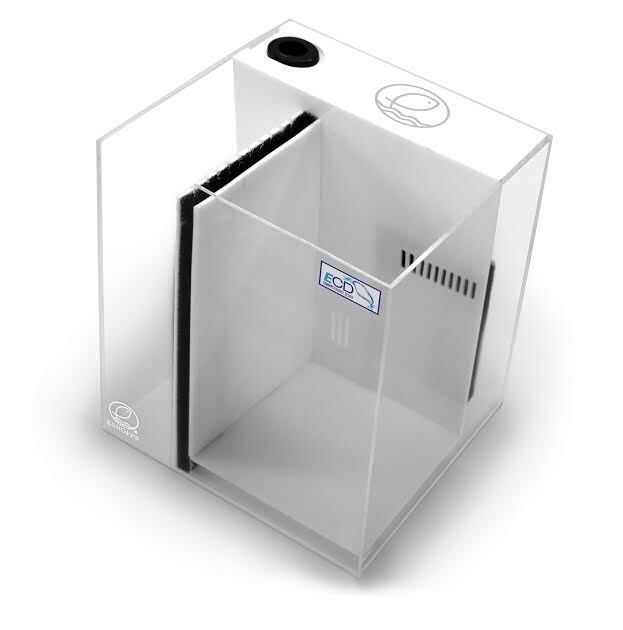 Through this feature, the sump has two separate water channels, one that is directed to the refugium and the other going to the protein skimmer. This design allows water to move simultaneously across different compartments, instead of one at a time, ensuring the water going through the sump is getting treated with adequate dwell time for better nutrient export. The CUBE will officially become available on March 1st at a retail price of $199.99. If you’re impatient, you can actually win one a couple of weeks early through a special Valentine’s Day giveaway. To enter, just share your story with Eshopps at www.eshopps.com/story and on February 14th, a winner will be announced.